Thank you! It’s definitely starting to get to that time of year when it seems a good idea to make larger yarny things to huddle under. 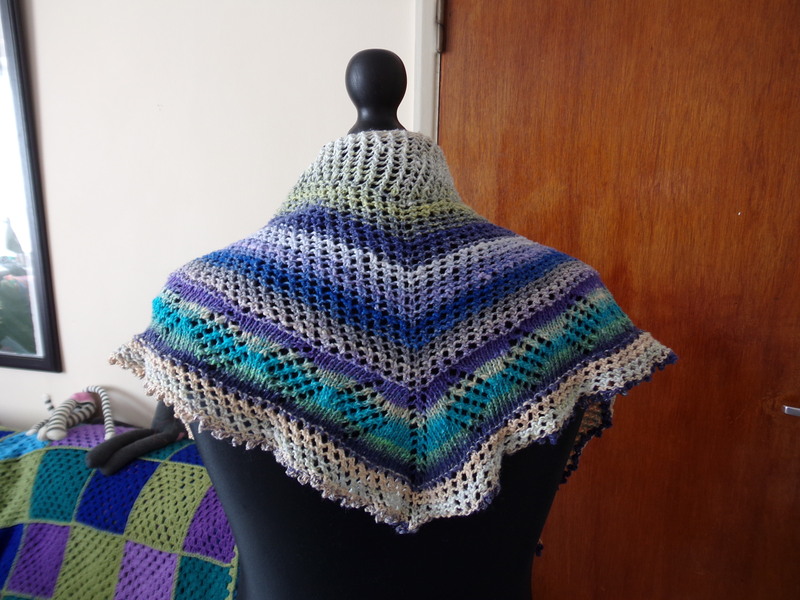 Shawls are generally quicker to make than blankets, and there’s less chance you’ll have to share them! 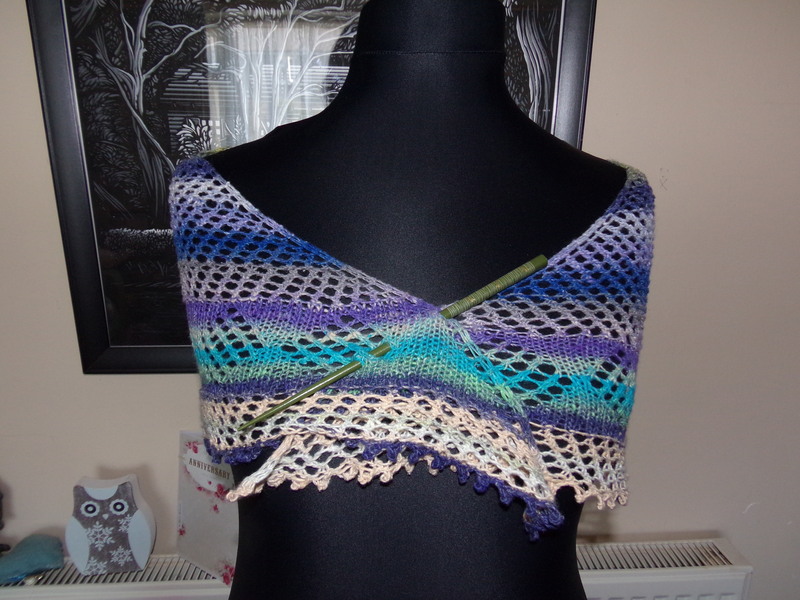 I love this and I can’t believe what a difference blocking makes! I, too, rarely knit anymore as crochet is so much more comfortable working with only one stitch on the hook. Thanks! 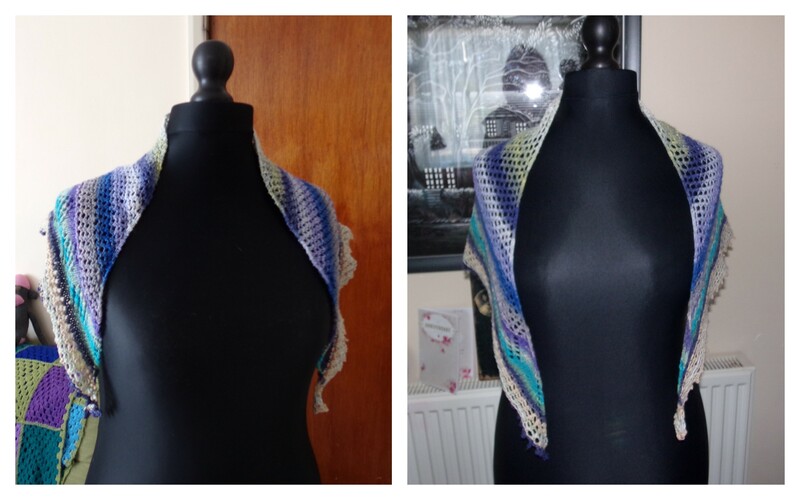 I think I have a bit more patience with projects now than I used to, and you do need to be patient to knit, especially when something goes wrong! Crochet is more forgiving of the occasional mishap, and you can just chuck it in a bag and know it’s not the end of the world if it slips off the hook. 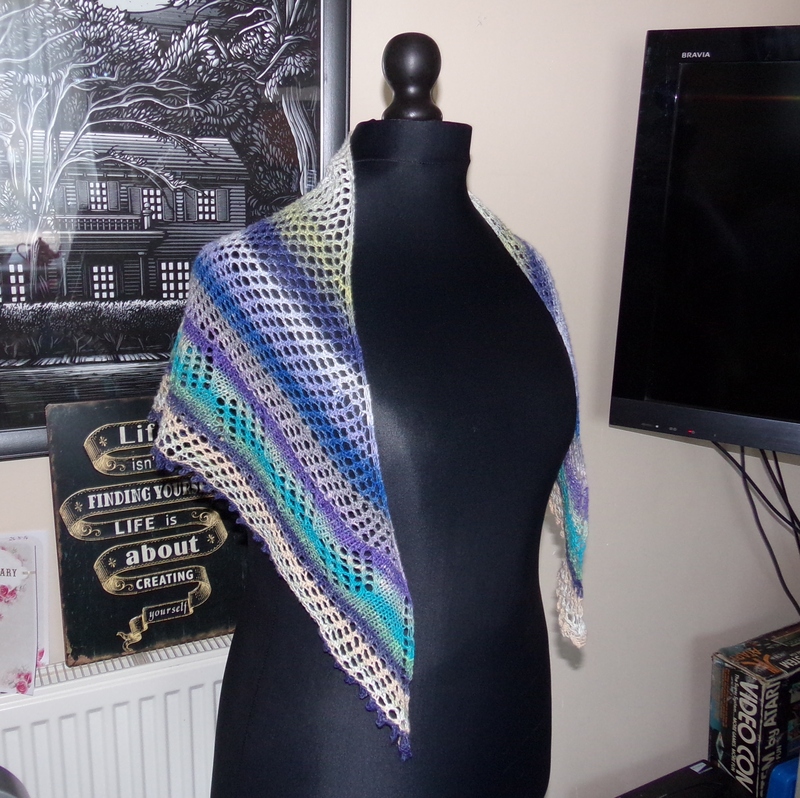 I was far too nervous to knit this shawl anywhere but safely sat on my sofa! Wow, that is absolutely stunningly beautiful. Congratulations! Thanks! You are a bad influence. 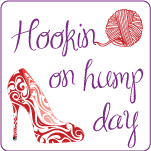 I’m sitting here knitting when I should be crocheting! 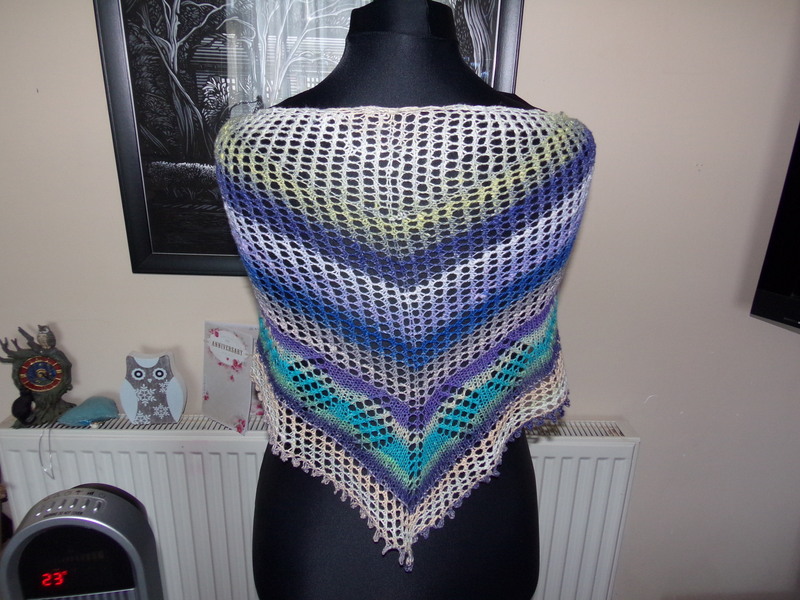 It is beautiful, I’d be too scared to block it but it has made such a difference to the shap and size. The worst bit was that it had to sit on the floor while it dried, which meant I had to keep shooing the cats away with their muddy paws! 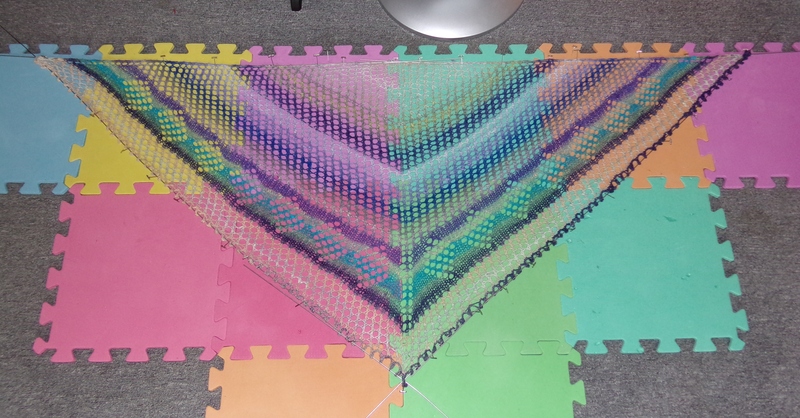 Blocking is great for the knitting but terrible for my nerves!